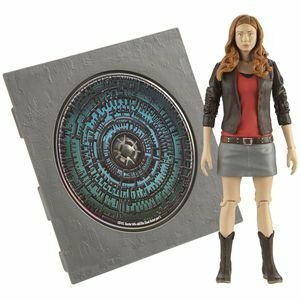 Pandorica 5-inch action figure and audio MP3 CD collection Amy Pond. Amy Pond includes CD 05 – Doctor Who and the Cave Monsters part 1. Each 5-inch action figure includes a MP3 CD with audio book instalment and one piece of the Pandorica. Collect and build your own Pandorica CD cube case. There are three complete classic stories across 6 CDs.